New Directions in Thai Materials. – architectkidd co. ltd.
December 3, 2010: A new publication titled “New Directions in Thai Materials” has been released by the Thailand Creative and Design Center (TCDC). The book is written by Peta Bassett and published by Serinda Publications. 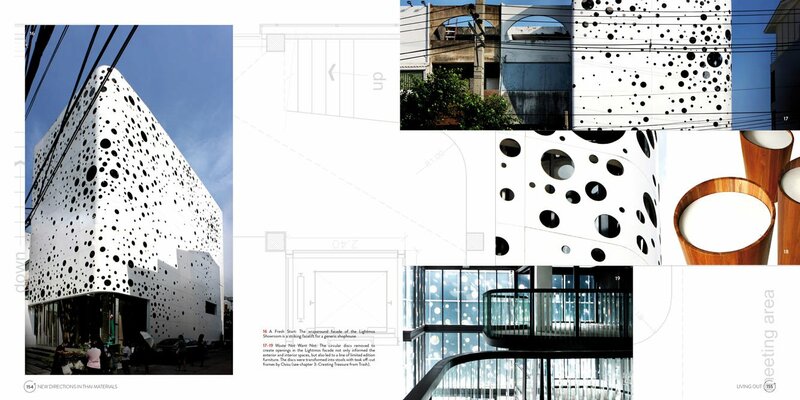 Architectkidd’s project for Lightmos has been featured in this book, as well as recent architectural, furniture and other projects designed by Thai offices and individuals. What is interesting about this book is how Peta surveys each project with insight on how materials are used and how they contributed to the overall process and outcome. The book is available here at Asia Books, as well as Page One and other retailers. Browse through some of the pages below, as well as more detailed information. 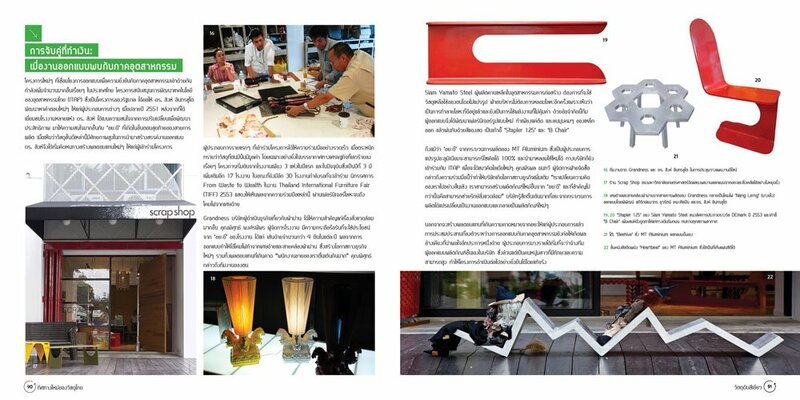 New Directions in Thai Materials is an exploration of materials currently offered in the Thai design world. Familiar natural solutions reflect the abundant tropical environment but are transformed into contemporary products while synthetics offer surprising and often deceptive imitations as well as novelty of their own. Widespread eco-concerns are also driving the material choices of many designers and new resources have been discovered or created in the process. 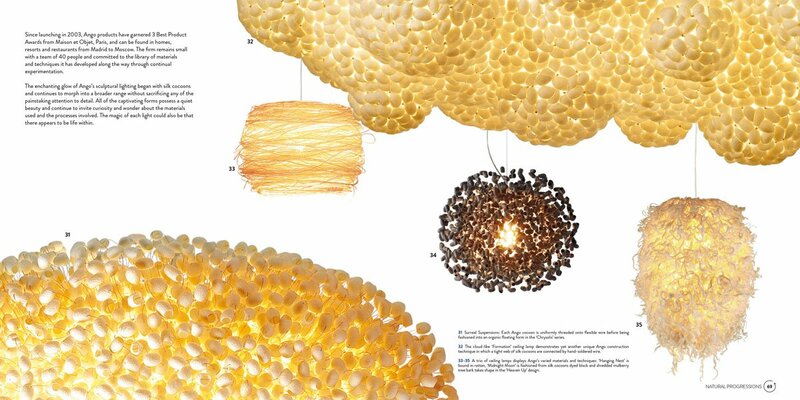 New Directions in Thai Materials is by no means an exhaustive catalogue of all materials currently used by designers in Thailand, but rather a source of inspiration that adds a new dimension to Thai creativity. Featured here are inspirations from natural materials — water hyacynth, bamboo, silk cocoons, clay, among others — from local sources that found modern uses. New and young entrepreneurs take creativity from indigenous materials to new heights, combining international design language and technology into innovative products. Environmental concerns bring new ways to reduce waste and benefit the economy. Established designers and architects inspire new generations with their experience. 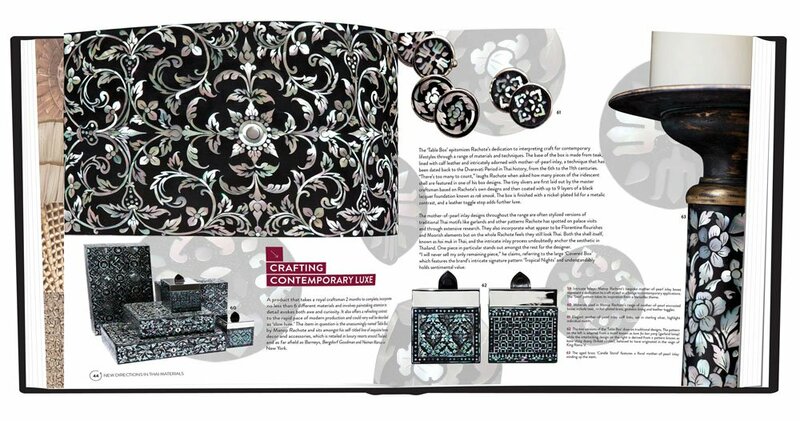 This book weaves together a story of new designs in Thailand through materials, showcasing the spirit, energy and creative freedom of the Thai design community. New Directions in Thai Materials is a book project initiated by Thailand Creative & Design Center (TCDC) as part of its commitment to the knowledge of and education about Thai materials and designs. TCDC teams up with Chicago-based academic and art publisher Serindia Publications and design writer Peta Bassett in this pioneering, informative and richly illustrated volume. 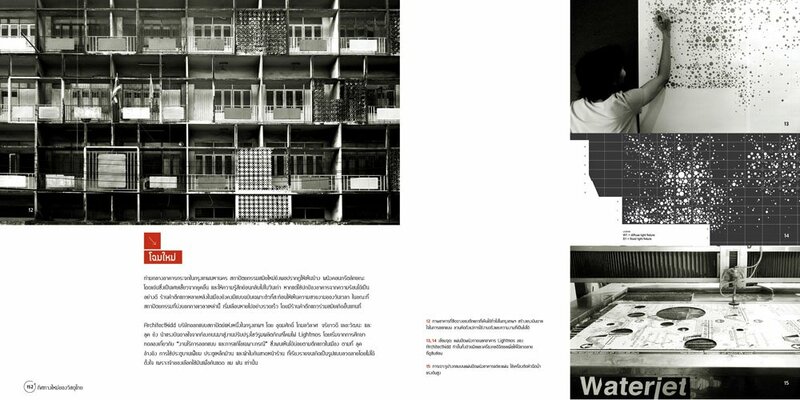 Available in both English and Thai language editions. From Mountains to Building Materials.